SECRET #1: Recognize the problem (disability) when it arises. If you are like most veterans, you muster out of the service when you are relatively young. You are anxious to get out and the last thing you feel like doing is complaining about any medical conditions. You don’t want to be held over and you want to get home as soon as possible. As a result, you don’t make a big deal about any problems. Since you’re young you think you can handle it or that it will go away. You deal with the problem on your own for many years without going to the doctor. Finally, after decades the problem becomes too severe and you finally breakdown and see a doctor. 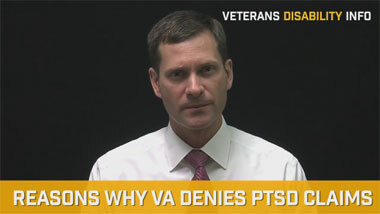 By this time, years have passed and the VA now doesn’t believe you when you say you had the problem ever since service. You must document ongoing problems even if you perceive them to be minor. If you failed to do this, you must explain the gap in medical treatment, and provide alternative forms of evidence such as statements from friends who can corroborate that you had the problem all these years but just did not go to the doctor or just took over the counter medicines. SECRET #2: File your claim as soon as possible. The sooner you apply, the sooner you’ll receive your first benefits check. More importantly, the sooner the VA receives your claim, the sooner you will lock in your back pay date. SECRET #3: Use the statements of friends and family to document the nature and symptoms of your disability. Unless your friends and family members are medical professionals, their statements should address their personal observations of symptoms and the impact of your disability on your daily life. SECRET #4: Obtain a complete copy of your claims file, including your service treatment records and post service treatment records. In order to properly develop your case, you need to analyze what evidence exists and then be able to assess whether you have evidence sufficient to meet all the required criteria. For example, assume that you have a current disability of a low back disorder. A review of your service records shows numerous treatment notes for back pain. The missing link would be a medical expert’s report linking your current disability to the back pain from the service. Without a complete copy of your claims file, you will not know what is missing. You need to know what’s missing so that you can take steps to obtain and submit missing evidence. SECRET #5: Pursue all possible theories in support of your claim. The VA is required to develop your claim under all possible theories. But VA often fails in its duty. Therefore, you should be prepared to assert all theories that are supported by the evidence. For example, let’s assume you have a current disability of depression that you claim resulted from being mistreated by fellow servicemen during service. You also happen to be service connected for a severe low back disorder that causes extensive pain. The records suggest that some of your depression is linked to the back pain. You should make sure that your claim also includes a theory that the depression is linked to the service-connected low back disability. SECRET #6: Do not limit your claim to one diagnosis. Frequently, veterans will make a claim based on their own idea of the correct diagnosis. Later, medical evidence suggests a different diagnosis. Although VA is required to consider all possible diagnoses, you cannot be assured that VA will perform its duty correctly. Make sure your claim includes all possible medical conditions that relate to your symptoms. The law presumes that veterans will be making claims for the symptoms and effects of a disability regardless of the label or “diagnosis”. For instance, don’t lock yourself into a claim only for anxiety when the evidence may also suggest you have depression. SECRET #7: Continue to make periodic requests for your current VA treatment records. If you are already service connected, a change in your condition could give rise to an increased rating claim, and the treatment for the condition could impact the effective date for any increased rating. Also, new medical records may contain evidence that could be helpful to your claim. Therefore, you should periodically obtain your updated VA treatment records. SECRET #8: Obtain your own medical expert report linking your disability to service. This strategy cannot be over emphasized. To substantially increase your chances of success, you should have your own medical expert review your claims file and provide a written opinion as to whether your current condition is related to service. If you can afford it, your own private medical expert is almost always better than relying on the VA doctors. SECRET #9: Obtain a copy of the VA compensation and pension examiners report. 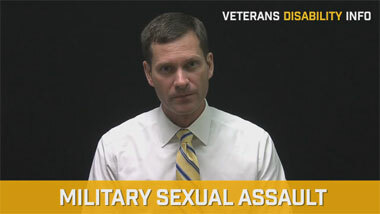 If VA sends you for a C&P examination, make sure you obtain a copy of the doctor’s report. If it is not favorable you will then be able to submit rebuttal evidence from your own doctor. SECRET #10: Don’t accept “no” for an answer. 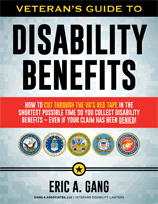 A high percentage of all first-time applications for VA disability benefits are denied. Often, this is because applicants don’t know the facts the VA requires before it can award benefits. Many applicants hire a veterans’ disability lawyer to help them prove their case. SECRET #11: If the regional office or the BVA denies your claim, file an appeal. You have the legal right to appeal your claim if your benefits are denied at the administrative level. Once you file a notice of disagreement, you are permitted to hire an attorney. We recommend that you hire a veterans’ attorney. Your veterans’ disability lawyer can advise you if he thinks he can win your case on appeal.